Marie Virginia (Foresi) Spencer, 63, of Hudson, MA, formerly of Farmington Hills, MI, passed away peacefully at Emerson Hospital in Concord, MA, on Saturday, October 13, 2018, surrounded by her loving family, after a brief period of declining health. She leaves behind her beloved husband of almost 39 years, Craig M. Spencer. Marie was born in Detroit, MI, on June 10, 1955, a daughter of Rita (Massara) Foresi and the late Serge Foresi. After graduating from high school, she went on to earn a bachelor of fine arts degree from Wayne State University. Marie held several important positions throughout her successful career and most recently was a program engagement director in the web design industry prior to retirement. Marie’s true passions in life were creative expression and her family. She spent most of her life in Michigan until this past summer when she moved to Hudson with her husband to be closer to their daughter and grandchildren. 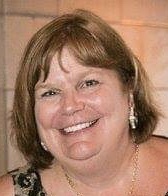 In addition to her husband Craig Spencer, Marie is survived by her daughter Elena Spencer of Hudson, MA two grandchildren, Milo and Vera Drummond; her mother, Rita (Massara) Foresi of West Bloomfield, MI; two brothers, James Foresi of Albuquerque, NM and Gregory Foresi and his wife Paula of Venice, FL; a sister, Adele Acheson and her husband Michael of West Bloomfield, MI, and many nieces and nephews. Marie was preceded in death by her father, Serge Foresi, and her older sister, Denise (Foresi) Ward. A Celebration of Marie’s life will be held at 10:00 a.m., on Friday, October 26, 2018, at First Parish Church of Stow, 353 Great Rd, Stow, MA. In lieu of flowers the family requests that donations be made to a local charitable organization of individual choice, to honor her generous spirit and spread her love as far as possible. TIGHE HAMILTON REGIONAL FUNERAL HOME is honored to be assisting with her arrangements.